Every month we will be putting a Monthly Newsletter onto our website to update ‘all’ our friends and guests around the globe. 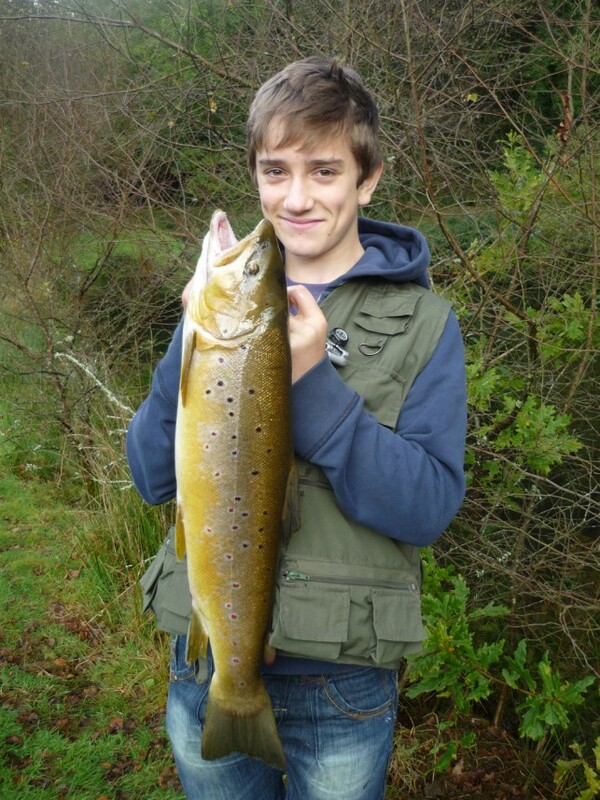 1st November was a cloudy wet day but for young Mr Saunders from Worrell when he landed a fine brown trout of 6lbs-8oz from Kingfisher lake with a damsel! Well done Mr Saunders! 2nd November had a very different twist to it when Veronica told me that Geri (our Kunekune pig) had already eaten, I immediately asked ‘What had she eaten?’ and she replied ‘An angler’s trout!’ ‘Oh dear’ I said and she said ‘No it’s fine he doesn’t like them anyway!’ It would be great if all anglers could keep their trout in a bass bag in the water, Geri might put on too much weight before her Xmas lunch…ha ha! 3rd November was the day when Pete and Reece started to clear around pond 6 and our 4 pet pigs were introduced to their new shed beside the bridge. 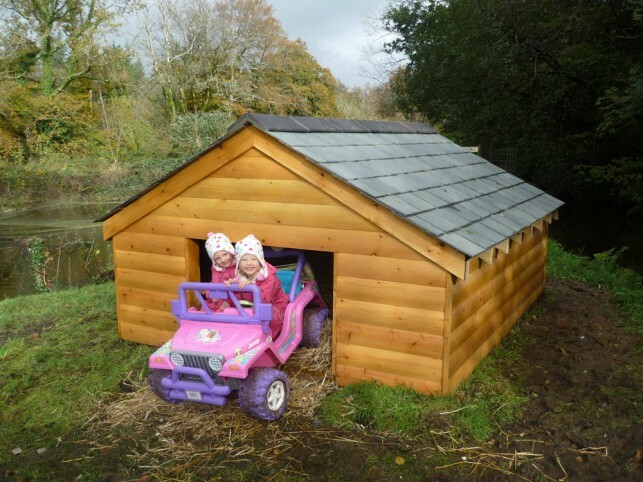 It is 8ft by 8ft and Mark has put a lovely slate roof on this shed and it truly is a piece of excellent work. Mark is now building a second pig shed the same size so that our two pot bellies can have a new house instead of their small one! Mark doesn’t wish to do private work weekends but if anyone would like a shed or stunning Gazebo etc built, he will happily build one through SH Construction (01822 611299) during normal working hours. On the 5th November I received a lovely email from Tina Hood who used to visit here a lot but has slid out of the Tavistock loop with too many other important commitments and I don’t blame her because life is so hectic! Her email made me laugh when I read this part ‘You have been a very busy bee. Amidst all the building, you managed to be a mum again! Incredible! I’m exhausted with just my two and a job that isn’t 24-7 and 4 months of holiday every year! You are either superwoman or a nutter!’ Well after realising that I must be a nutter, this comment spurred me into action and put a thought of ‘holidays’ in my head. The very next day I booked a surprise holiday for my family and I! Lapland this December – Well here it is my little surprise that has been up my sleeve for over a month! 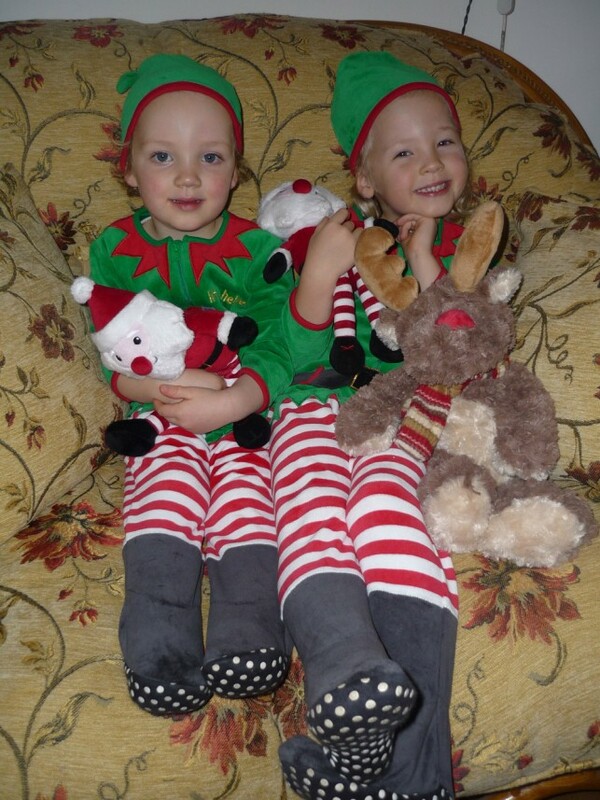 I booked a surprise trip for my three children, Mark and I last month but I didn’t tell them until Saturday 1st December! My life has been very hectic since the birth of my second daughter, Amelia and I can honestly say that I feel terribly sorry for my three children. They have to share me with a business that demands my attention 7 days a week and all daylight hours and to top it off, with 9 boilers on site, I am on call 24 hours a day! Only last month saw a guest arrive for a month on a Friday and her boiler broke down within 2 hours of her arriving late at night! I phoned the plumber and within 30 mins Dave Besgrove arrived to tell me that after looking at it, he told me it was broken! The word he used wasn’t broken and it started with a capital ‘F’! Fortunately I had already had a few ‘Friday’ night brandy’s with Mark and so the shock of a new boiler was drowned with Courvoisier! Saturday 10th November was a real laugh when Mark and I had a few drinks at home and then he fell asleep on the sofa! I didn’t feel like going to sleep and so I went upstairs had a shower, put on some make up, smart clothes and ordered a taxi and went to Tavistock! Two hours later I returned in a taxi to find that Mark had left his key in the door and I was locked out! After shouting and banging on the door Mark arrived to let me in! He hadn’t even realised that I had gone out! What fun! I really enjoyed myself! Saturday 17th November saw Gary Champion visit the fishery with 11 chaps to instruct for a days fly fishing tuition! 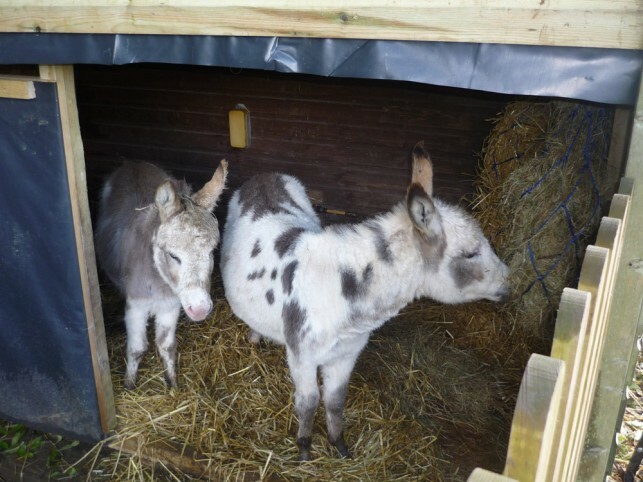 The weather wasn’t too bad and I treated them to some lovely locally made cakes for a late morning snack! There was even a piece left for me….yummy! Tuesday 20th November was a sad day when I went to the funeral of my Auntie Pauline in Puriton. Words are difficult to describe my Auntie but in a summary I would say, very well mannered, very thoughtful, extremely kind hearted and she always remembered everyone’s birthdays, are just a few of her traits I know that her three children will miss her dearly but I too will never forget her! Auntie Pauline taught me how to make an effort for the people you care about and so her thoughtfulness lives on through me and always will do! Pauline’s youngest daughter Deb read a lovely poem at her funeral and tears streamed down my face as my heart melted in sorrow for Deb’s grief. Dear Deb, keep your chin up, and here is a poem for you….. Although I heard no word. Wednesday 21st November turned out to be a very good day for Roger Walden from Essex despite the heavy rain, when he caught a fine specimen triploid brown trout weighing 4lbs-14oz with a catswhisker! Monday 26th November…..Well this day will go down in history as one I will not forget in a hurry! It started off with a phone call to my Doctors to tell them that I had found a lump over the weekend, in a place that I shouldn’t have found one and immediately I was offered a morning appointment but I had to decline this and ask for an afternoon appointment because it was the day for our yearly visit to Derriford Hospital for my two daughters to have X-rays on their hips. This is always a worrying time as they were both born with shallow hip sockets and in a Pavlic harness for 3 months but fortunately after over 2 hours in Derriford, we were given the all clear for another year. The afternoon then had to focus on me and my trip to the doctors. After noticing a strange black car in the car park on my way out the fishery to the doctors, I thought that there would not be anyone on the fishery itself because we close on Mondays (we have done for over two years) and my intercom sign was in the middle of the road outside my house. My doctor was amazing, as she always is and said yes you do have a lump and I must send you for further tests but she reassured me that she felt it was not a bad lump but she could not be 100% sure. A few terrified tears streamed down my cheeks as my two year old daughter looked at me with confusion. I left the doctors and told my daughter, Amelia that we would go and buy some sweets. Then I received a text from Mark’s cousin on the fishery saying that even though the fishery is closed, an angler was fishing without permission and he had caught a large brown trout! To say that I was cross was an understatement because I knew my sign was outside my house when I was home and he never asked me to fish! You might have managed to slip through my net on Monday 26th November and fish my fishery when it was closed but you certainly didn’t let this one slip through your net that day….a fine specimen triploid brown trout of 7lbs-12oz! 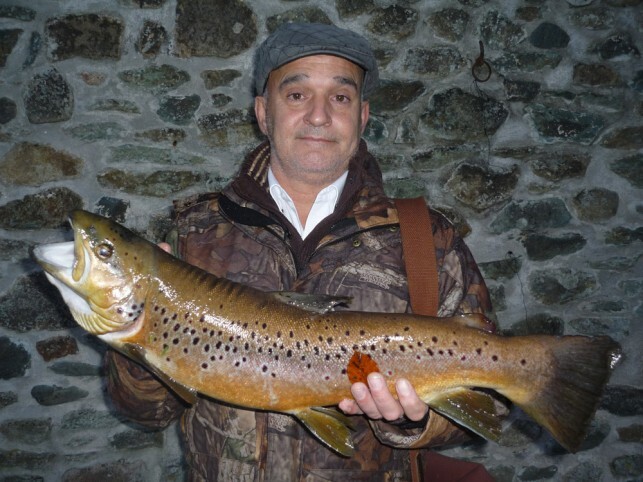 Lovely Brown Trout caught on Monday 26th November 7lbs-12oz by Albert McGuiness from Stoke, Plymouth with an Orange Lure! To those gents and ladies out there that sometimes have a bad day I would like to say…..even I get them! X. Our ‘stunning’ Pamper Room (07837 125680) offers vouchers for a wide variety of beauty treatments for the special person in your life and they are an ideal present for someone who wants to join you while you are fishing and yet be spoilt! Tabetha has decorated the log cabin beside the lakes in a beautiful way and any lady would be delighted with a pamper session! Our tackle shop (01822 615441) offers a wide variety of fly fishing gifts and is open Tue to Sat but times do vary, so please phone first. Fly fishing vouchers for the angler in your life are also available from our tackle shop or you can ring our card payment line any Friday between 9.30am and 3.30pm and pay over the phone (07980 052111) and the voucher will be posted to you immediately! For Vouchers outside these times ring 01822 615441 but I might be outside on the fishery grounds. Fly Fishing Tuition Vouchers (numbers as above) £80 for two hours including hire of all tackle and three fish! Instructor Tim James! Christmas Competition Sunday 23rd December – Cost £38 including lunch! Max six fish. Prizes are for 1st, 2nd and 3rd places! Come and join us for a fun day and fish at the same time! Spaces are still available, ring or email to book! Christmas and New Year Opening Hours – We will remain open throughout the Christmas and New Year period except for Christmas Eve, Christmas Day and Boxing Day. We will be open on New Years Eve and New Years Day! February 2013 – I know its going to cost a lot of money but after walking up the drive last week, I have decided to get my pennies out again and buy some tarmac for our main carpark and drive way! All my carparks will therefore be upgraded in January/February by Will and Phil Cann, in time for my celebration in March! 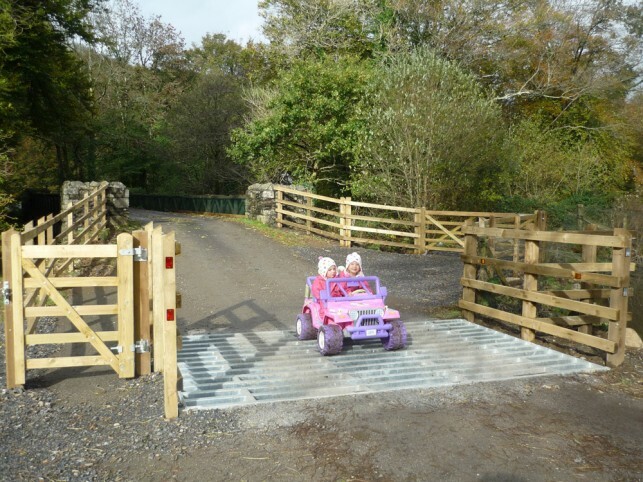 Wow, how exciting a cattle grid and now smooth road coming soon! More Champagne…. join me on the 23rd March!! March 1st 2013 – will see the two Osprey Lakes close in preparation for the larger fish being stocked and these lakes will remain closed until the 23rd March at first light! Our Specimen fish will be introduced to the lakes an allowed to rest before the opening date. Our once holder of the British Record Trout ‘Bertha’ was actually in Big Osprey Lake for 3 months prior to being caught! Our Osprey Lakes have depths of water up to 18 feet and they are ideal lakes for the very large fish to hold up and rest! Start tying those special fly patterns and try your luck next year! March 23rd 2013 – Our two Big Fish Lakes open and so we will be celebrating with Champagne and beer! Join us for a days fishing and a free drink at lunch time! There will be prizes on this day for the largest fish, the heaviest 6 fish and a raffle will be drawn at 2pm including fishing permits, bottles of wine, weekend breaks on the fishery etc! Raffle tickets will be on sale soon in the office! 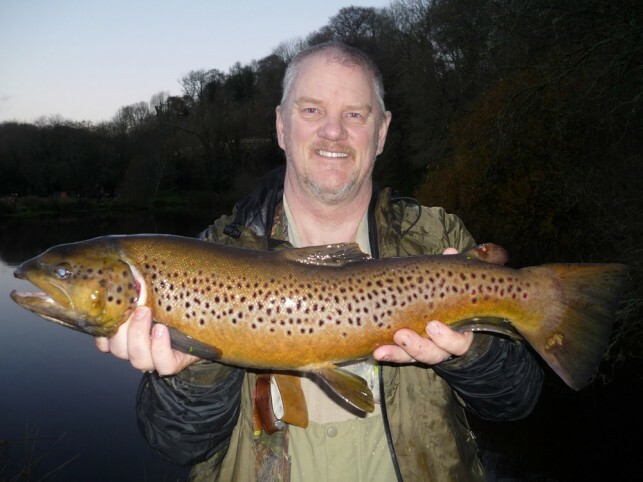 March 23rd 2013 – Our Rare Breed Poultry Paddock opens including children’s fishing permit with tackle hire and feeding the trout! Bring the family for a fun trip! Roll out pastry to a square. Place trout fillet in centre. Add stuffing and sliced mushrooms and top with remaining fillet. Glaze edges of pastry and fold up to form a parcel. Glaze and bake at 200’C, 400’F, Gas 6 for 15-20 mins. Serve a slice of the trout en croute with green vegetables, carrots and chips or potatoes. I would like to wish you ‘all’ a very Merry Christmas and a Happy New Year! Ps. Thanks Tina Hood…I can’t wait for my holiday next week!